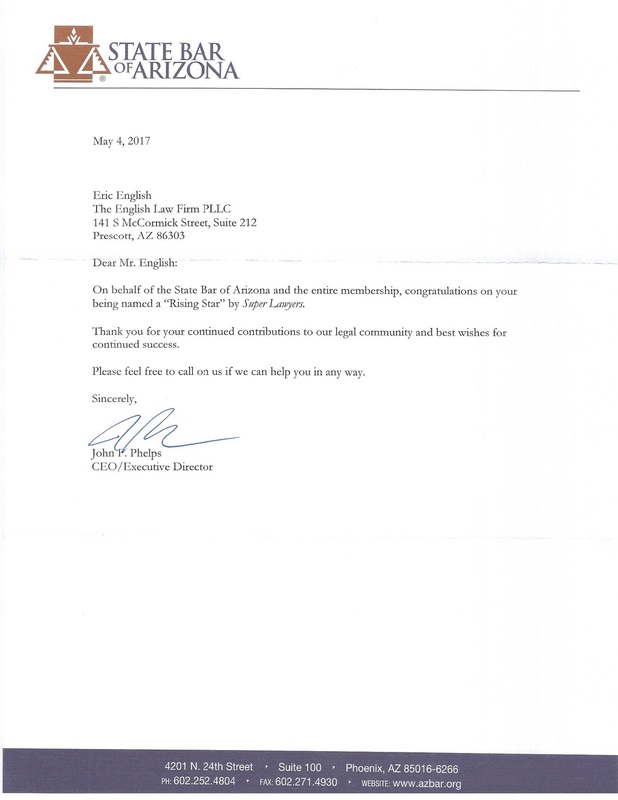 Mr. English receives back to back “Rising Star” awards for 2016 and 2017 from Super Lawyers. Super Lawyers is an organization that rates outstanding lawyers who have attained a high-degree of peer recognition and professional achievement. Only 2.5% of lawyers in the U.S. southwest region were selected. The award recipients are selected through nominations, independent research and peer evaluations. 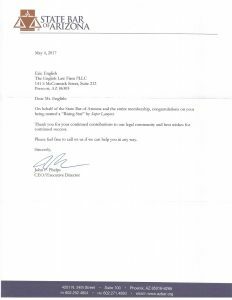 It is an honor to be named to the 2017 Southwest Rising Stars and recognized as a top attorney in the Southwest region.